If we get paid what we deserve, we're not going to like our wages. On the other hand, God, who is rich in mercy and grace, gives us his gift because of the sacrifice of Jesus and not what we deserve. I don't know about you, but that surely does make me want to serve him more passionately and faithfully! Glorious and gracious Father, holy and perfect in every way, thank you that your sacrificial grace bridges the great gulf between your righteousness and my imperfection. 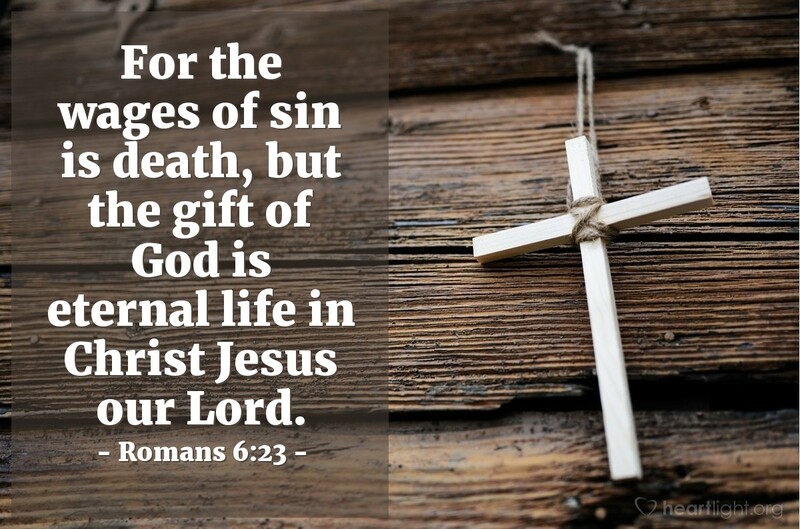 Thank you for the gift of eternal life. May my mortal life be holy and pleasing to you. In Jesus' name I pray. Amen.